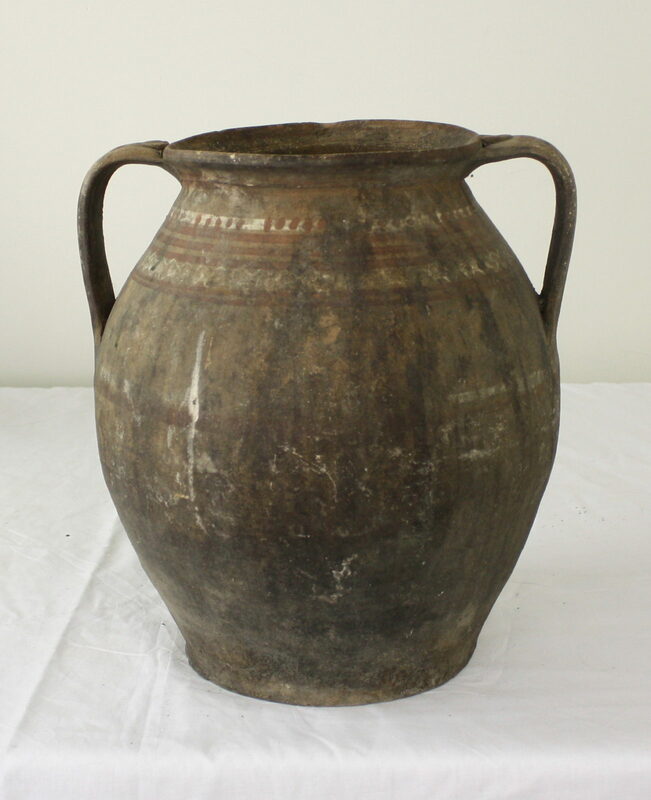 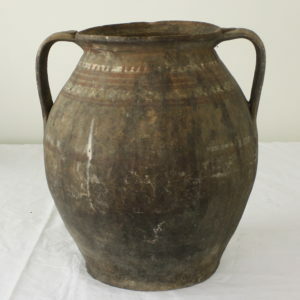 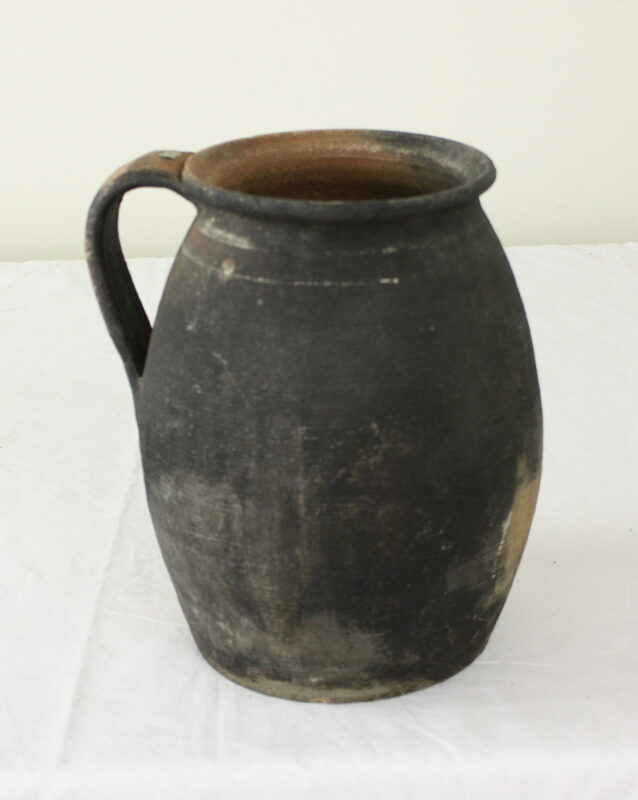 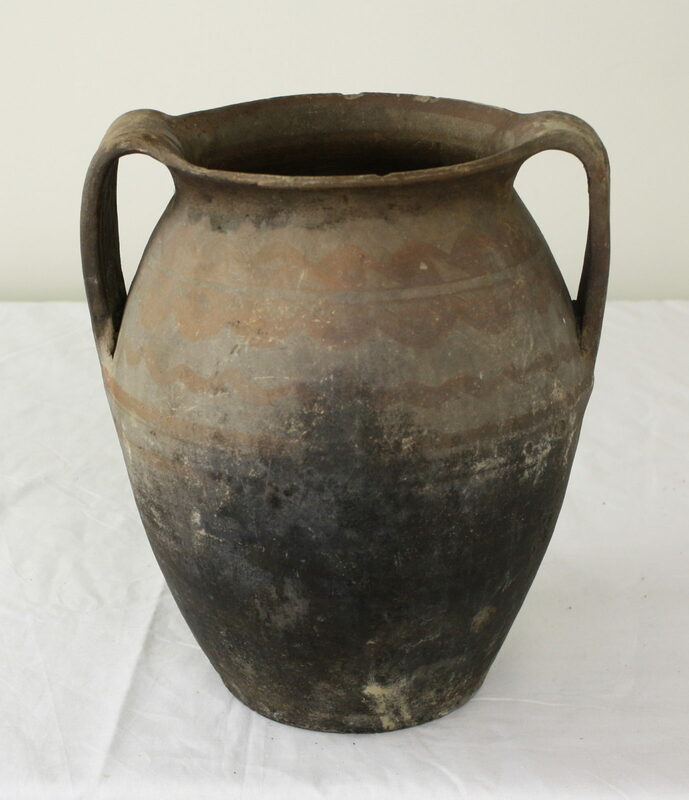 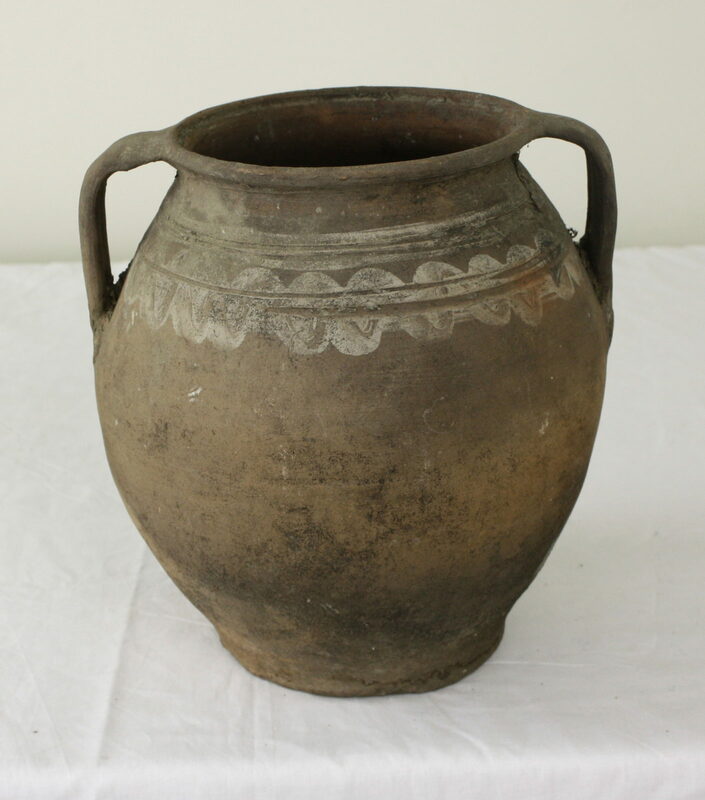 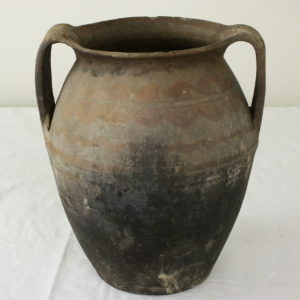 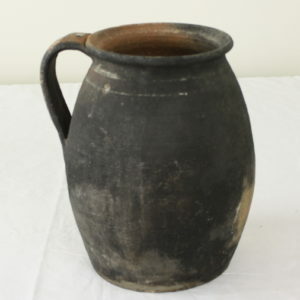 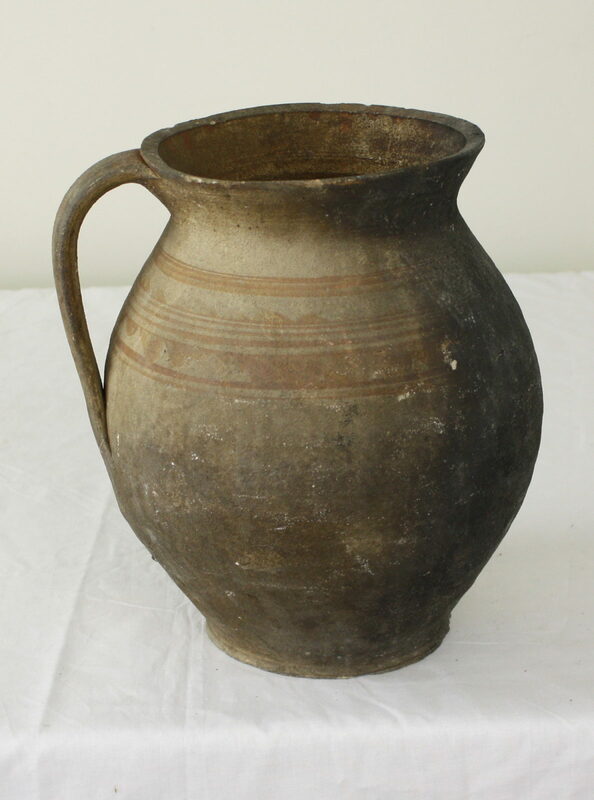 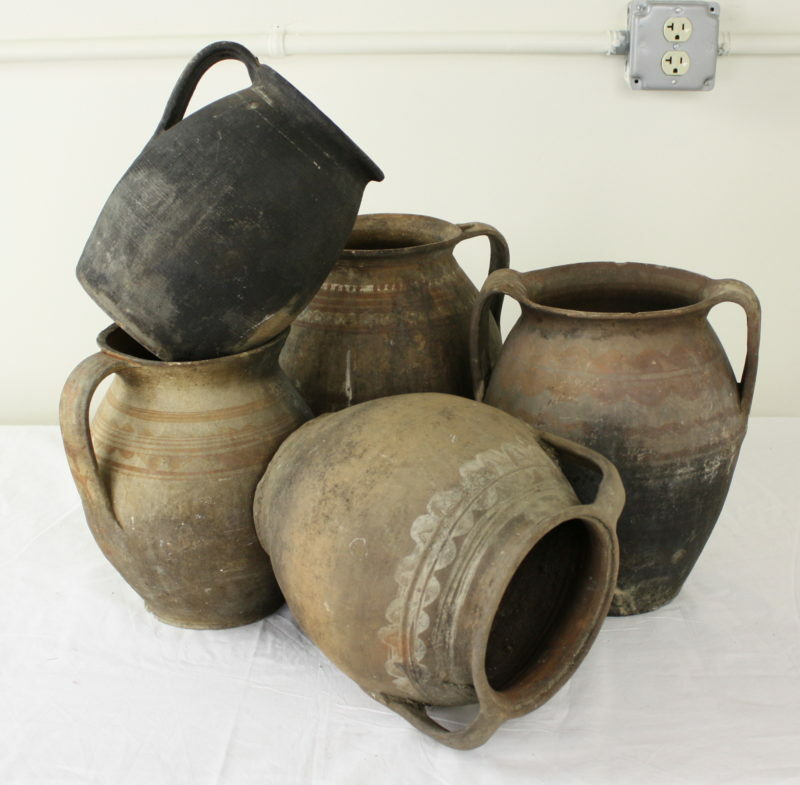 A very interesting rustic collection of jugs, great on top of a cabinet or armoire. 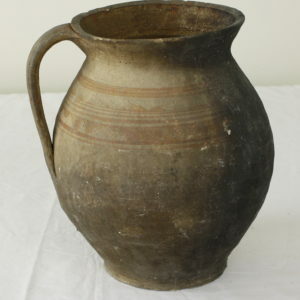 Measurement below is for the largest jug. 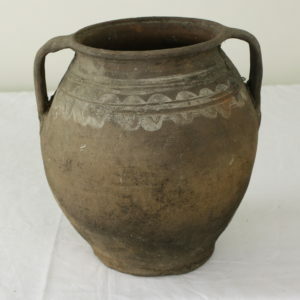 The smallest measures 7″ in diameter and 9″ high.